Hey Mets fans. Opening Day is 20 days away, and I have a full plate. I’ve been so busy with other things, that I’ve ran very slim on time! For that, I apologize. 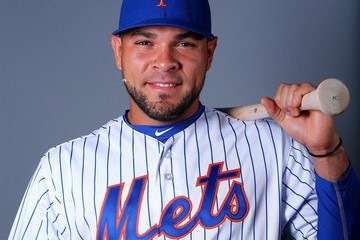 Johnny Monell hit a bomb to the back of the berm during today’s 5-3 victory over the Miami Marlins. Not only was it a clutch home run, it was Monell’s third this Spring. Who is this backup catcher that little to no one has heard of? Well, it turns out he is 29 years old, and had a cup of coffee with the World Champs Giants back in 2013. Johnny was signed last November as a replacement to Juan Centeno, who the Mets lost to the Brewers. Can Monell be of any assistance to the Mets? Maybe if someone goes down, but I’m pretty convinced that it will be d’Arnaud and Recker heading north on April 6th, if one of them can’t, I believe Monell will be given a shot over Plawecki, however I do expect to see Plawecki this September.